But Abbas' embracing a "culture of peace" in Washington is meaningless when his schools in Ramallah embrace a culture of terror. Indeed, Palestinian youth themselves make a mockery of Abbas' claim, as children in the schools named for terrorists declare that those terrorists are their role models. The PA has named one school after Nazi collaborator and war criminal Amin Al-Husseini. Amin Al-Husseiniwas the Grand Mufti of Jerusalem at the time of the British Mandate. During World War II he moved to Berlin, where he was a Nazi collaborator and an associate of Hitler. Al-Husseini was on Yugoslovia's list of wanted war criminals, and was responsible for a Muslim SS division that murdered thousands of Serbs and Croats. When the Nazis offered to free some Jewish children, Al-Husseini fought against their release, and as result, 5000 children were sent to the gas chambers. The PA has named two schools after Nazi collaborator Hassan Salameh. Hassan Salameh was a leader of Arab gangs in the Lod and Jaffa region in the 1930s and 1940s. 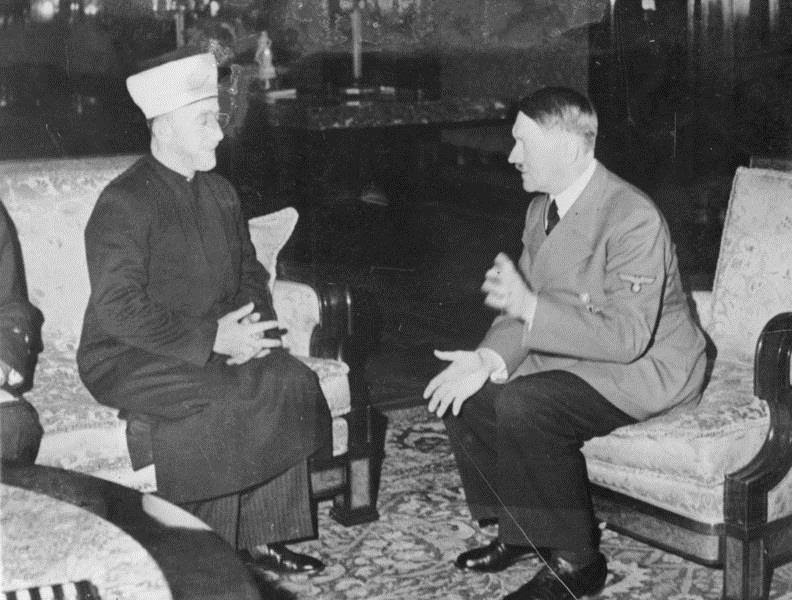 He was a loyal follower of the Grand Mufti of Jerusalem Haj Amin Al-Husseini, who spent World War II in Berlin supporting the Nazi war effort. In 1941, Salameh was recruited to be a Nazi agent, and in 1944, he was sent on a mission by the Nazis in the British Mandate of Palestine, with the goal of starting an Arab revolt against the British and poisoning Tel Aviv's water sources. The plot was discovered and thwarted by the British. In 1947, Salameh was appointed by the Mufti as Deputy Commander of the "Holy Jihad" Army that fought Israel in the 1948 War of Independence. In June 1948, he was killed in battle. This story of Arab Nazi Collaboration should be more widely known but it is not. There are those who want to make the world forget thi ugly chapter in Arab history.